Where can you get a Silicone Mermaid Tail for FREE!?!? Well... this blog post is NOT about that. There will, however, be a video made about that soon, so stay tuned! In the meantime, this blog post (and the accompanying video) will share with you 20 of the best places you can buy a professional grade silicone mermaid tail. Obviously, I have not purchased from all of these companies, but I have done my research and feel that each of these tailmakers are worth your time to check out. Of course, do your own research and trust your gut before making a purchase. Additionally... please don't buy a silicone mermaid tail if you don't know how to swim, can't afford a tail and/or aren't done growning. This blog post and list are for Adults that are strong swimmers, experienced mermaids AND are ready to make the financial dedication that is required to obtain a silicone tail. Okay. Are we ready to find learn where to get a tail!?! No. Actually, we are not ready to learn where to get a tail yet... UNLESS you are a very experienced mermaid! Otherwise, buy a monofin like the one below and START PRACTICING!! Also, read this guide telling you "How to Swim like a Mermaid." Trust me... you need to know what you're doing before you buy a silicone mermaid tail. After all, you don't want to ding up a $3,000+ tail, right? Right. So do your homework! Hahaha! Silicone Mermaid Tails for Sale! Here are some places where you can buy custom-made silicone mermaid tails! If you click on the bold-face name of the company, you will be taken to that company's website. Since not all of these tail-makers have official websites, some of these links will direct you to their social media pages where you can ask them about their tails. MerNation Inc... Ahhh... where to begin? This creator of custom-made silicone mermaid tails has been around for years! And my goodness!! They sure have they grown! MerNation Inc. is the place that I bought my silicone mermaid tail (Sparda) from. MerNation is known for their speedy tail creation, quality work and stellar customer service. I cannot say enough good things about this company. Really... they brought the tail of my dreams to life and EVERYTHING has changed since. You can learn more about my tail by clicking here: "All about my MerNation Inc. Silicone Mermaid Tail"
You can learn more about MerNation by clicking the bold-face title above this paragraph blurb. FinFolk Productions makes all sorts of tails. All of them are SUPER pretty, but geez... their silicone tails? Some of the finest on the market! FinFolk is known for their vibrant paint jobs and HUGE flukes. They offer individual scales on their silicone tails too (like... individual raised scales that slightly separate from the tail's body) and has 5 different fluke designs to choose from. If you've seen the movie "Avatar" (the one with the blue aliens) then these tails may remind you of some of the creatures in that movie! Mermaid Raven is the owner and operator of MerBella Studios. I am SURE that you've seen some of her work before! MerBella Studio has some of the most visually stunning and realistic looking tails available on the market. With 6 different fluke designs to choose from along with 3 different scale options you can do a lot of customizing when you go with a MerBella! Like most other tail makers, you can add extra fins to your tail too. I came across Merrow Fins mermaid tails just recently and I'll admit... I am in LOVE with their scales!!! Make sure to read up on each of their tail options, since some aren't as suitable for professional use as other. Although I've never owned one of these tails before, the creator does state that the tails were designed for the travelling mermaid/merman. 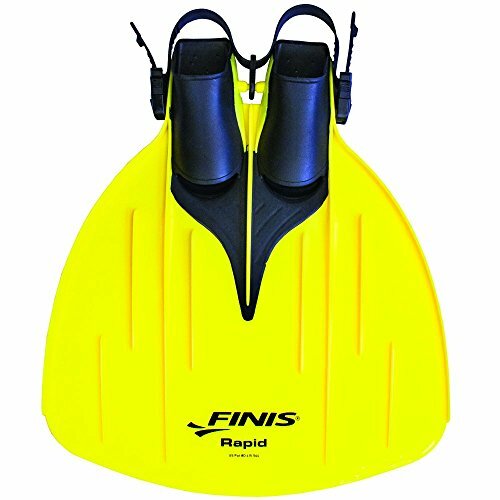 The monofin in the tail is small but powerful, which makes it easy to fit in a suitcase and easy to glide through the water with. Merrow Fins has some awesome fluke designs too (like their Betta Fish one!). Check them out! Be sure to message the tail-maker on Instagram (@house_of_mer) or on Facebook (linked above) for more details. I know you know Mermaid Marielle. She is the owner of AquaMermaid, a company that teaches people how to become mermaids ALL over the world, sells mermaid tails and that has an awesome YouTube Channel! I had the chance to meet Marielle at Mermaid MegaFest 2018 (you can see the video by clicking HERE). AquaMermaid is best known for their mermaid schools and fabric mermaid tails, but the brand also sells sequin mermaid tails and Silicone mermaid tails. Currently, only 2 fluke options are offered, but they both look very nice! The colors of Marielle's tails are typically quite bold too, which looks stunning in the water! See Through Sea does more than just making silicone mermaid tails. They donate their time AND a portion of their online sales to help protect and preserve our environment! How awesome is that!?! Their tails are absolutely STUNNING by the way. They have 4 different fluke designs to pick from and 2 different scale types that you can have on your tail. The thing that stands out the most to me about See Through Sea tails is that their tails are SMOOTH. So smooth!! Ugh. They are almost too perfect looking! These tails are super unique! Siki Red Fins currently offers 2 fluke designs and 2 scale options. The tails from Siki Red Fins are like... my gosh... very different than anything out there! You have to take a look at them to see for yourself! They have mastered the art of making transparent fins (seriously) and also claim to have have fuss-free tails that are quick and easy to get into. I am extremely curious about this company and think they are one that you definitely need to keep a watchful eye on. Sirenalia is a silicone mermaid tail-making company that is run by a pod of mermaids! They sell their pretty designs on Etsy, and you can have a tail custom-made for you! From what I could see, they have only one fluke design offered for sale... but they have made different fluke designs for some of their custom orders. Be sure to contact Sirenalia for more information. As with all other tail-makers on the list, the direct route to their website can be found by clicking on the bold-face title above this blurb of info. Have you ever heard of Mermaid Melissa? Or maybe you've heard of Nicki Manaj? Well, Mike van Daal of FlipTails has made silicone mermaid tails for both of them! FlipTails is a Michigan-based silicone mermaid tail-making company that creates very beautiful and believable tails. For some reason, I've always been captivated by the flukes of Mike's tails... they just seem so flawless!! Since FlipTails does not have an official website, the link connected to the bold-face font will take you to FlipTails' Instagram Page. Orders can be placed via the email provided on his Instagram page. EvaTails is a tail-maker based in Russia. I couldn't find any information about her prices, but I do know that she does in fact sell tails! Silicone Mermaid Tails by this tail-maker are very, very beautiful from the tail paint to the fluke, scales, fins, ect! In addition to making silicone tails, EvaTail (EvArt FX Studios) creates silicone scale tops, mermaid leggings and fairy wings! You know who Mermaid Kariel is, right?!? Well, if you don't already know, she is a beautiful and very talented mermaid who inspires others to "bravely follow their dream" and who also creates stunning mermaid tails! Although Kariel is probably best known for her sequin mermaid tails, she creates artistic silicone mermaid tails as well. If you want a good chance at nabbing one of her creations before someone else gobbles them all up, you will want to join her email list! Remember Mermaid Kat Shop from our little chat about where to buy fabric mermaid tails (CLICK TO READ)? This tail-maker makes silicone mermaid tails too! Woot woot! Mermaid Kat Shop offers 6 different fluke shapes and 3 different scale options (one of which is more like a skin!). The flukes and fins available on Kat's website are unlike any others out there! Go take a look at them! Got Mermaid? What a clever name! This new rising-star of a silicone tail creator has tails with noticeably large scales. I like it!! They offer multiple fluke designs and can even create a fluke design just for you. Go to their Instagram and message them for details. Anyways, Mermaid Jessica of Dark Siren Productions is a silicone mermaid tail-maker to take a look at! Okay, so I am totally bummed that Syren Studios is not currently taking orders (as of the day I'm writing this), but the owner has a very busy life with her new little mer-toddler. Maybe she will create more tails in the future though, so keep an eye on her shop from time to time! This is the tail-maker who created the silicone mermaid tail that Katja Mermaid (of the Circus Siren Pod) often wears! I'll post a video of Katja swimming below. (She is the mermaid with the red tail in this video. The other one is Mermaid Katey of the Ohio Mermaids, who just got a new tail!!!). Where will YOU Buy a Silicone Mermaid Tail? Swimming in a Silicone Mermaid Tail: 10 Tips to Swim Like a Pro!